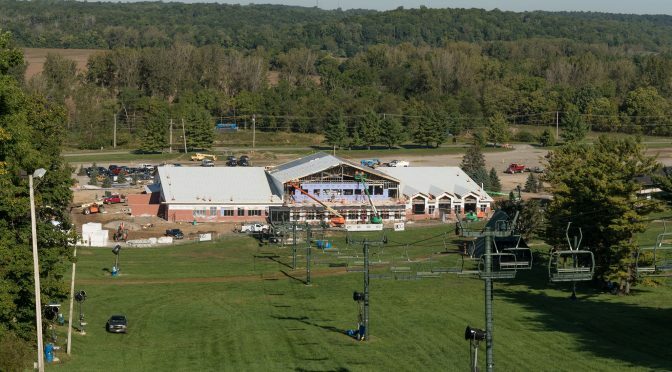 Bellefontaine, OH – Construction remains on track to open Mad River Mountain’s new base lodge this season, replacing one lost to a blaze last September. 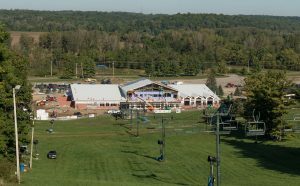 At 46,000 square feet, the new Mad River base lodge is nearly twice the size of the previous building. 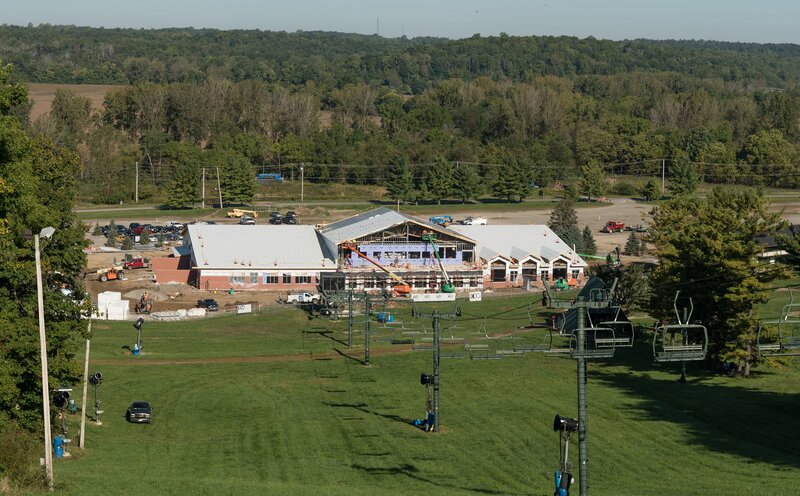 Being built at a cost of $6.5 million, the new two-level structure will include a more spacious loft area on the second level with elevator access, a stage for live music, a slopeside deck with views of the mountain, and seating for over 300 guests. The dining area on the building’s first level will offer seating for more than 800, doubling the previous dining capacity. The cause of the September 16, 2015 fire that destroyed Mad River Mountain’s previous base lodge was never determined, although an electrical fault or discarded cigarette was suspected. 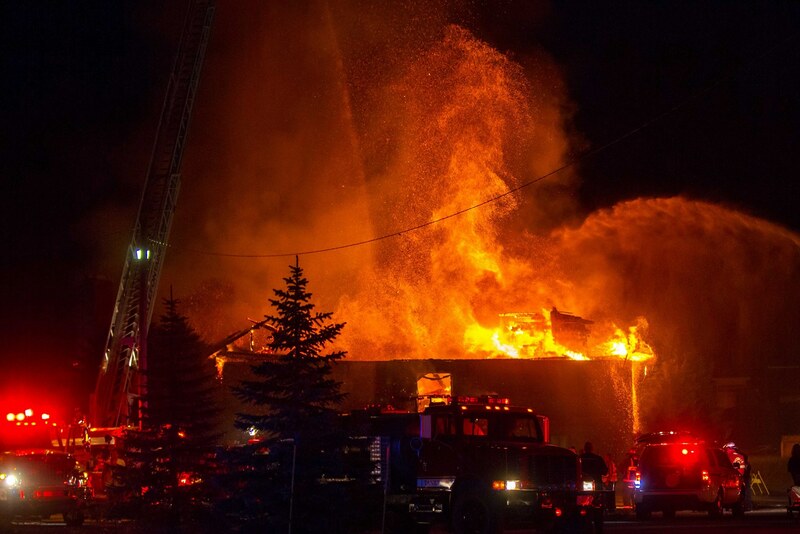 Officials with the State Fire Marshal’s Fire and Explosion Investigation Bureau said that there was no evidence of criminal activity or intent.